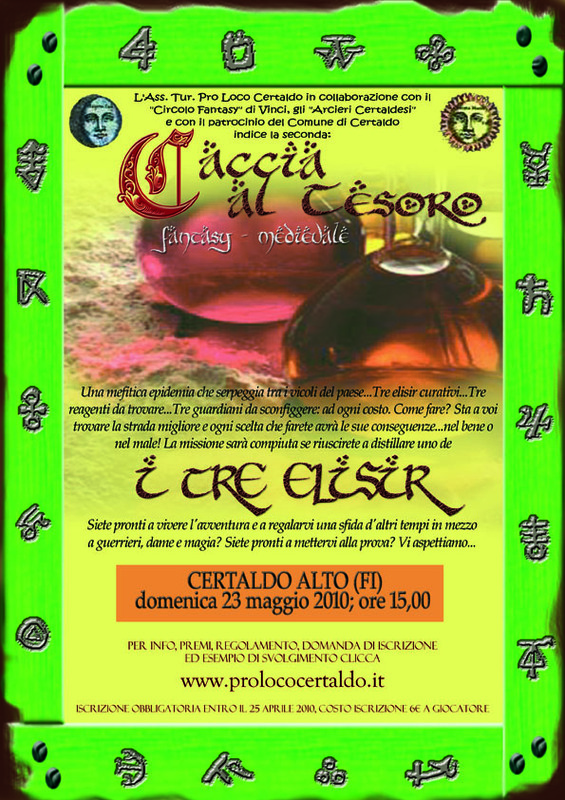 After the success of last year, the Pro Loco Association proposes the second edition of the Medieval Fantasy Treasure Hunt, which this year is titled The Three Elixir organized in collaboration with Arcieri Certaldesi, Elitropia, Fantasy Circle of Vinci and with the patronage of Municipality of Certaldo. Participants in this singular competition will be dropped in the year of grace 1410 where the Court Alchemist will have to put an end to an epidemy that rages in the village. But left short of ingredients, will ask the participants for help to be able to distill three different elixirs, very good for the treatment of this epidemy. Participants will face tests of intelligence and practices, will have to navigate between ampoules and warriors, thieves, mercenaries, elves and wizards. Spells to buy and learn, doubloons to collect, missions to complete, puzzles and riddles to solve. A common thread for everyone, within a story in which each group can give its mark, making their own choices. 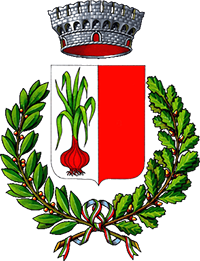 It will therefore be an afternoon of challenge and guaranteed fun, in the wonderful setting of Certaldo Alto. The subscription fee per participant is 6 euros, and can only be taken in groups of 3 to 5 people. You can also register individually, knowing that the organization will aggregate individual competitors into teams, up to a maximum of 35 teams. Registration is open until April 25th. The application form, the prizes, the regulations and a detailed example of the course can be downloaded from the Pro Loco website.